Hit golf balls with the Refiner swing trainer and get instant feedback on your swing. Best golf training aid on the market. Just swing it! The Refiner is a dual adjustable hinge golf swing training aid. Designed to hit golf balls and instantly pin point where a flaw occurs in the golf swing. Sometimes described as a collapsible or breakaway practice club, this golf swing trainer has helped thousands of golfers around the world perfect their golf swing. It is well respected in the golf industry, and is looked upon as one of golf's most effective golf training aids available. This golf product will keep you in the fairway and inbounds, with a money back guarantee. The Refiner has been around since the early 90s and has recently added the graphite 460cc hinged driver. Going for par 5's in two is the only risk you will take with the ReFiner. We are so confident that you will love our golf training aids, we offer an unconditional 30 day money back guarantee. 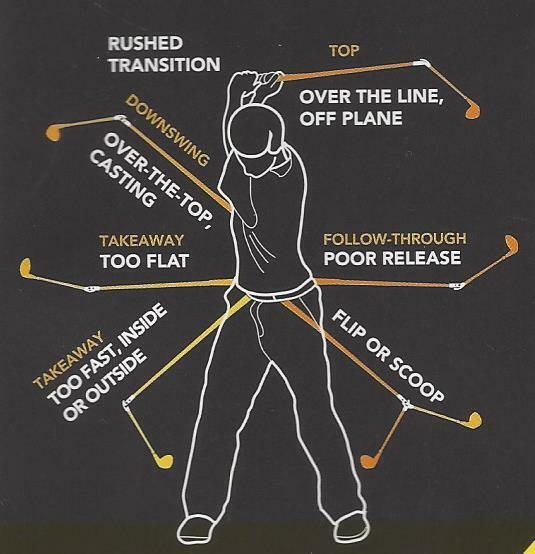 The ReFiner golf training aids improve your golf swing by feel not complicated swing mechanics. A quick warm up swing with the ReFiner will remind you rather quickly of the ideal golf grip pressure, correct swing plane and swing tempo. The ReFiner Swing Trainer looks like a normal club. It fits easily in your golf bag. Just swing the Refiner golf training aid and the adjustable hinge assembled in the shaft does the work. You will know instantly where a problem occurs in your golf swing. Golf aids that really work. No more 3 putts, lower your score today! Ther Refiner golf training aids have dual adjustability and wears in not out. Get the hinged club that can be handed down to the next generation.